Conventional theory states that Phobos has been marred by repeated meteor impacts, but could electricity have played a significant role? Phobos is the largest of the two moons of Mars. Deimos is so small that studying its surface has been problematic for astronomers because it cannot be readily observed from Earth. Only the Viking 2 orbiter captured close up images. 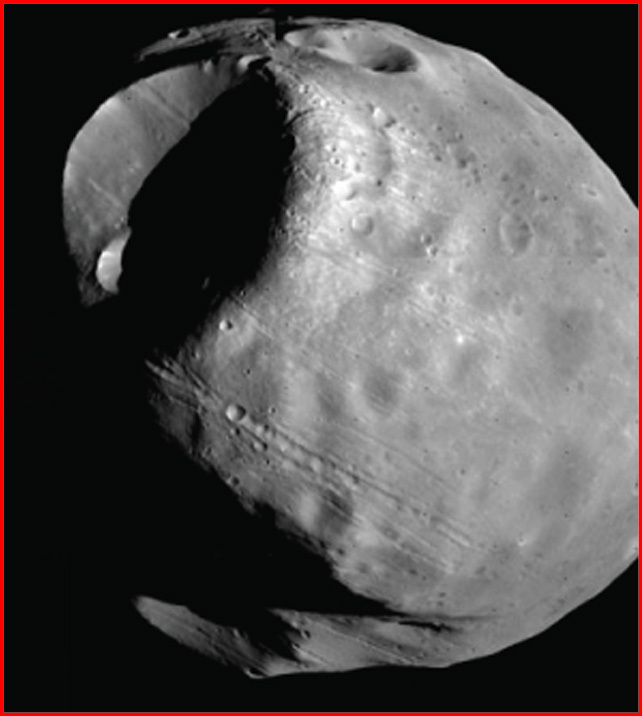 Phobos, on the other hand, has been examined by Earth stations and by satellites sent to Mars orbit. In the image above, Stickney crater is visible - a ten kilometer-wide excavation that is nearly the size of Phobos. In previous Thunderbolts Picture of the Day articles, objects with craters almost as large as themselves have been discussed. As we pointed out, the "impact" craters should have blasted the asteroids into fragments, but little sign of the collisions is visible other than the craters. In the case of Phobos, the moon is 28 by 20 kilometers in size, so the crater is nearly half as big! By what scientific measure can we conclude that smashing the moon with an impact of that size will not destroy it? Some astronomers have reported that the striations and fracture lines evident around Stickney demonstrate that the moon did undergo severe shock and that it was distorted by the impact of whatever formed the crater. However, on closer examination it was revealed that the striations are, in reality, chains of small craters. No "fracture lines" are visible - no cracks as if from a titanic shock wave passing through the moon's body. In fact, the area surrounding the crater is rounded and smooth with no large blast debris (although the moon is covered with almost a meter of finely divided dust). In past reviews of Mars, for example, we have shown that it appears to have been immersed in a plasma flame sufficiently large to gouge out Valles Marineris, Olympus Mons and Arabia Terra in a relatively short period. Gigatons of rock and dust were literally ejected from the planet and thrown into space at escape velocity. Blocks of stone as large as Manhattan Island look like they fell from a great height and shattered on impact, leaving fields of enormous boulders with sharp, angular edges covering hundreds of square miles. 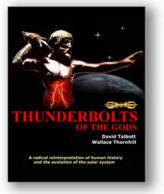 Could it be that Phobos, Deimos, Ida and the rest are also the remnants of that overwhelming cataclysm? In our potential scenario, the thunderbolts that carved up Mars threw these big chunks of its crust into orbit, as well as into long ellipses around the sun. While ramming through the electrical fields involved with the EDM process, they were smoothed and eroded by the arcs. 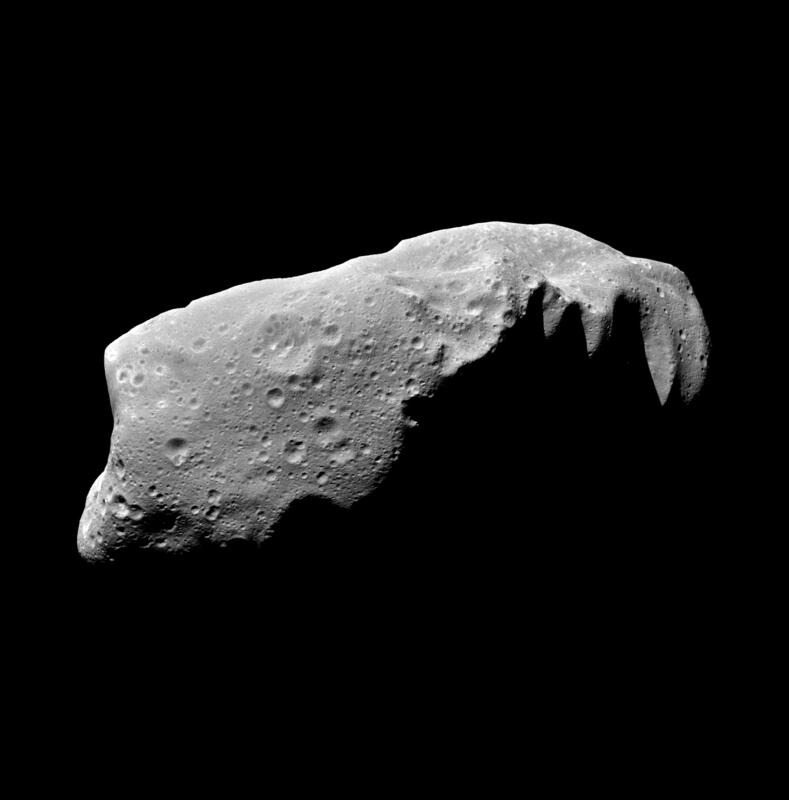 The result is that Phobos and the asteroids mentioned are covered in dust, have little or no large boulders, are defined by huge craters and look like they're half-melted. 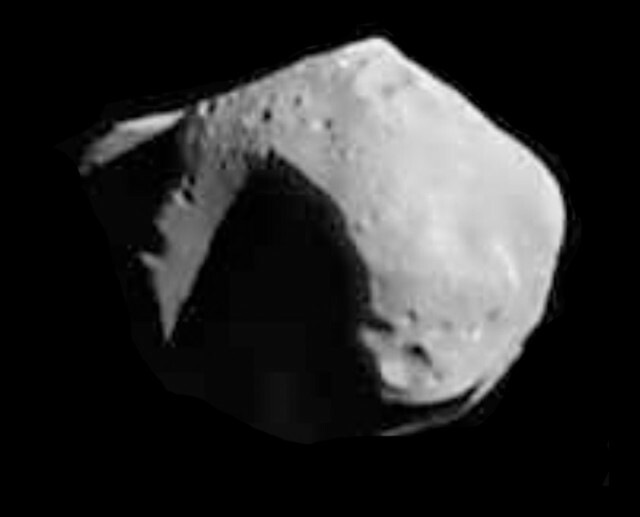 Phobos does have one unique boulder, but its placement and size are a distinct anomaly.